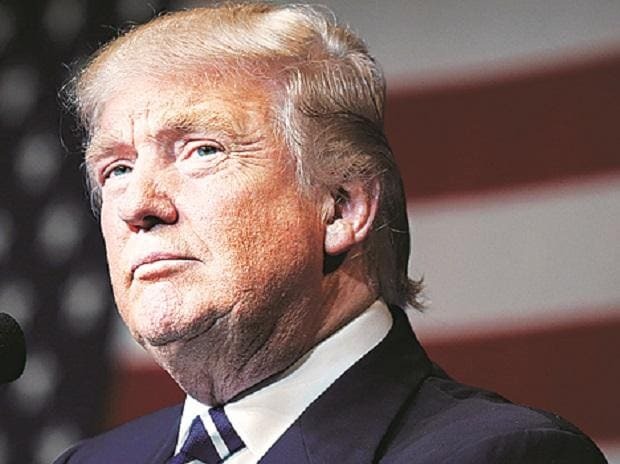 A day after South Korean giant Samsung launched Galaxy S10 5G smartphone at a packed event here, US President Donald Trump on Thursday said American companies must step up their efforts or get left behind. In a tweet, Trump said he wants 5G, and even 6G, to be rolled out in the US as soon as possible. "I want 5G, and even 6G, technology in the United States as soon as possible. It is far more powerful, faster and smarter than the current standard," the US President tweeted. "American companies must step up their efforts, or get left behind. There is no reason that we should be lagging behind on...," he added. His comments came a day after Samsung showcased the Galaxy S10 5G smartphone here. "Samsung is putting the power of 5G in consumers' hands with Galaxy S10 5G, Samsung's first flagship 5G smartphone," said the company. With Galaxy S10 5G, consumers on a 5G network can download a full season of a TV show in minutes, play graphics-rich cloud games with virtually no lag, enjoy enhanced virtual reality (VR) and augmented reality (AR) experiences and stay in touch with friends and family via real-time 4K video calls. ....something that is so obviously the future. I want the United States to win through competition, not by blocking out currently more advanced technologies. We must always be the leader in everything we do, especially when it comes to the very exciting world of technology! Trump's concerns are real as after the US telecom carrier Verizon announced a 5G-enabled smartphone with Samsung, AT&T has also announced plans to grow its mobile 5G device line-up with a 5G smartphone from the South Korean giant in the first half of 2019. AT&T is also working with Samsung to create America's first manufacturing-focused 5G Innovation Zone. Verizon and Samsung in December announced to jointly launch one of the first commercials of 5G-enabled smartphones in the US in the first half of 2019. Samsung has also partnered with major European operators to deliver true 5G connectivity on its latest flagship smartphone. "Samsung is proud to be making 5G a reality for European consumers by collaborating with some of our most trusted operator partners to introduce Galaxy S10 5G to the market this summer," said DJ Koh, President and Chief Executive Officer (CEO), IT and Mobile Communications Division, Samsung Electronics.